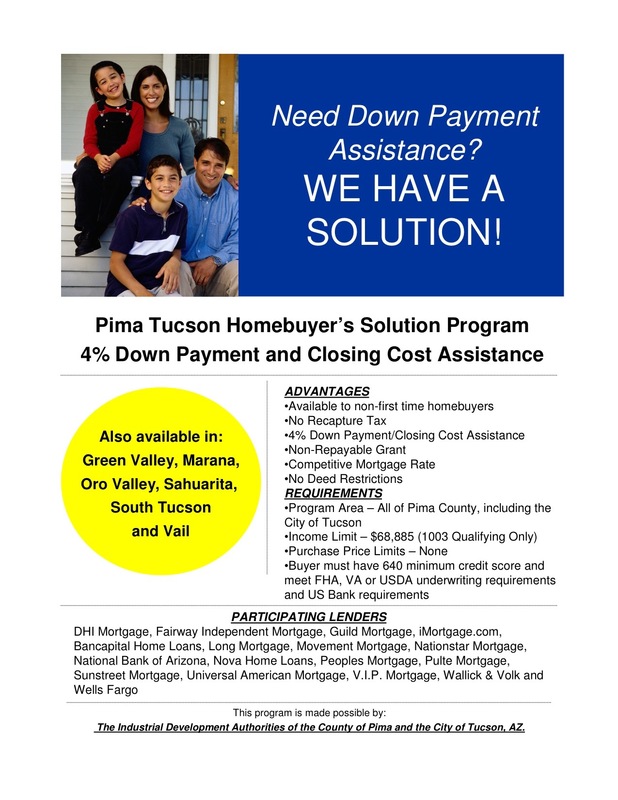 Family Housing Resources offers down payment and closing costs assistance programs in Pima County designed to educate and counsel first-time* low and moderate income homebuyers in purchasing an affordable home. The availability of assistance depends upon funding opportunities at the time. *First time homebuyer definition - borrower has not had homeownership interest in a home within the past 3 years. 1. Attend FHR's Homebuyer Education class. Call 318-0993 to sign-up for a class. FHR provides bilingual staff and homebuyer education courses in Spanish. Se habla Español.